The photograph below was kindly sent to us by Margaret Flood who found it amongst her grandfather’s effects. 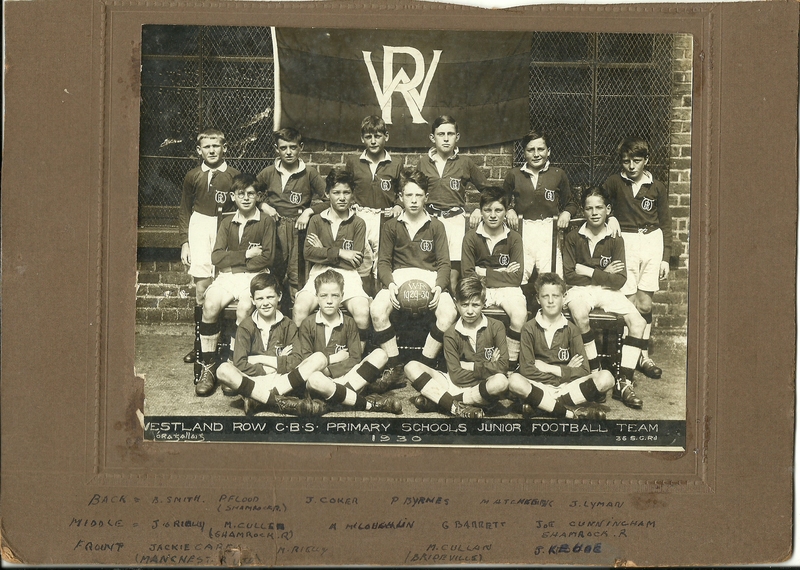 It shows a Junior Football team from 1930 and the great thing about it is that her Grandad had the foresight to write the names of the boys, together with any clubs they were associated with in later life. We can, for instance, see a very young Jackie Carey of Manchester United and Ireland fame and Row Man of the Year 1987 in the front row, left. Joe Cunningham of Shamrock Rovers fame is also to be seen in the middle row on the right. If the photo jogs any memories of other past pupils why not let us have a comment.